Assassin's Creed is an award-winning historical fantasy and science fiction video game series that currently consists of six games, with one to be added, a short film (split into three episodes), a novel and comic books. The games appeared on the iOS, Microsoft Windows, Nintendo DS, PlayStation 3, PlayStation Portable, Mac OS X, Xbox 360, Android and Windows Phone 7 platforms. 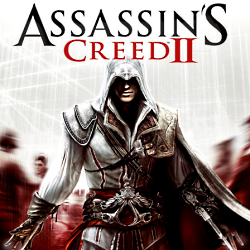 The main games in the franchise were developed by Ubisoft Montreal, with the handheld titles developed by Gameloft and Gryptonite Studios, with additional development by Ubisoft Montreal. All games in the franchise are published by Ubisoft. The main plot arc of the series revolves around a bartender named Desmond Miles as he is captured by megacorporation Abstergo Industries (a front for the Knights Templar). Using a machine known as the Animus, Desmond is forced to relive his ancestors' memories, who were all assassins, in order to recover artifacts, called the "Pieces of Eden", for Abstergo. While the original assassin ancestor of Desmond is Altaïr, the most recent games feature another assassin from Renaissance Italy named Ezio. 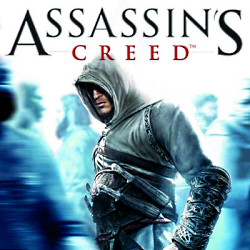 Assassination targets are mostly actual historical figures, although the timelines for their lives and causes of death have been changed to suit the games' plot (in-game these inaccuracies are attributed to the Templars rewriting history to cover up their actions, as well as honest mistakes on the part of historians). 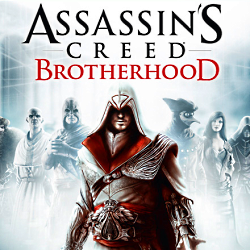 The gameplay varies slightly from game to game, consisting of a mixture of action and adventure with a heavy emphasis on stealth in open world recreations of historical cities. The series has sold over 20 million units. I've only played Brotherhood so far, but I really enjoyed it!